There's no excuse not to learn these classics. There’s a great episode of Seinfeld in which Kramer makes a statue of Jerry from fusilli pasta. When Jerry asks why he chose fusilli, Kramer, without a second’s hesitation, answers: “Because you’re a silly guy!” Undoubtedly one of the better food puns in the history of comedy. We buy into such humor at Kitchen Stories. It comes with the territory. But do you know what would be the silliest thing of all? If I were to pretend that I could write one concise paragraph capable of capturing the sublime essence of pasta. My words could never do it justice. If you’ve read this far, chances are you probably like—no, love—pasta. You don’t need any real convincing. Just feast your eyes upon the beautiful photos below and let your gut instinct decide for you which one you’ll be preparing at home tonight. This dish is the perfect crowd-pleaser and ideal for both kids and adults. Rainy days ahead in the forecast? You have two options. Pout or plan to make this delicious lasagna, the centerpiece of which is its silky smooth béchamel. Few things in life are as delectable as homemade pasta. 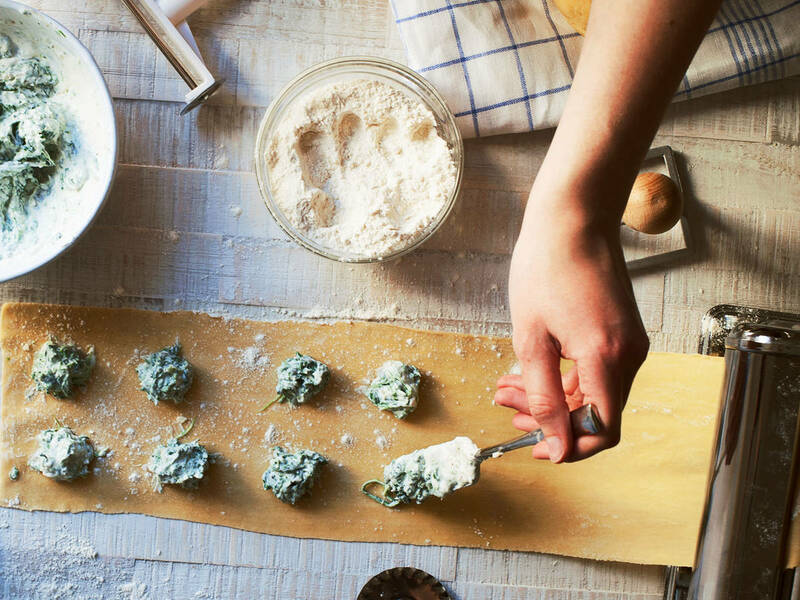 Filled with spinach and ricotta, this ravioli is perfect as a light weekday dinner or for entertaining guests on the weekend. These tortellini look so impressive, you might find it difficult to actually eat them in the end. But you should, the mushroom, ricotta, and pine nut filling is nothing short of heavenly. Also known as spaghetti aglio e olio, this dish is a testament to the fact that food can be exceedingly tasty with just a few simple ingredients.